Divorce is a difficult situation that takes a toll on everyone involved, both financially and emotionally. Even more is at stake when custody of children becomes part of the equation. Parents often need an attorney to fight for their rights, as well as that of any children involved. How do courts decide who gets custody? Parents in a divorce case may opt for sole custody or joint custody of a child. Joint child custody means both parents share decisions affecting the children (school, health care, religious training, rules for discipline, etc.). It also refers to physical custody, meaning the child spends a comparable amount of time with each parent. This may involve splitting living arrangements equally or on a set visitation schedule. It may also involve grandparents or other family members if they play an important role in child care. Child custody issues can also revolve around finances, such as child support to make sure parents provide for the basic needs such as food, clothing, shelter and education. Other questions of child custody may involve traveling out of state with the child, granting custody if parents are not legally married, or attempting to change a child’s surname. Child custody can be complicated and overwhelming without proper guidance from an experienced family law attorney in Virginia. Protect your parental rights by consulting with Gloucester child custody attorneys at Martin, Ingles & Hensley at (804) 693-2500 to make an appointment. Personal injury lawyers can help you in many different ways if you or someone close to you has been hurt due to the negligence of another party or parties. Your attorney will be with you from the start of your case to the end, keeping the lines of communication open so you are up to date every step of the way. These are just a few of the ways that a lawyer can be a substantial amount of help during this stressful time in your life. When an accident occurs, it can lead to not only debilitating injuries, but also major expenses associated with those injuries. The amount of money that the court will award a plaintiff in this type of case is known as “damages,” and there are many different types of damages. For example, personal injury lawyers will work to help you obtain compensation for damages such as the loss of wages and future earnings due to incapacitation, present and future medical expenses, property loss or damage, and more. 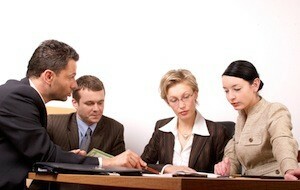 Skilled personal injury lawyers are also experts in dealing with insurance company representatives. If you are hurt in a car wreck, for example, caused by another driver, the at-fault motorist’s insurance company will do whatever it can to pay you as little as possible. It would actually prefer not to pay you at all. An experienced attorney, however, will know all the tricks insurance adjusters and other professionals use to try and deny an injured person his or her rightful compensation. If you would like to learn more about how the personal injury lawyers with Martin, Ingles and Hensley Law can help if you or a loved one has been injured due to the negligence of others, please contact us online or call (804) 693-2500. A divorce lawyer in Gloucester Courthouse, VA can help make this difficult time period in your life go much smoother. Whether you are going through a contested divorce or if both parties basically agree on child custody matters or the division of property, an experienced attorney can make a big difference. In many instances, a married couple might not need a divorce lawyer in Gloucester Courthouse, VA. The couple, for example, may be able to work out everything together or go through a mediator or other neutral party. This will allow you to control extremely vital matters, including your home and other property, the custody or your children, and more. You might only need to obtain a divorce judgment from the court to declare the end of the marriage. Unfortunately, however, there are many other times where emotions run hot and the couple cannot agree on anything. That is when you will definitely need the help of a divorce lawyer in Gloucester Courthouse, VA. An attorney will work to ensure your best interests are protected at all times, and provide you with the best way to obtain a favorable outcome in your case. Hiring an attorney will be a must if there is any sort of abuse in the relationship, whether it is sexual abuse, substance abuse or child abuse. If you are the abused party, you may find it impossible to negotiate effectively without a professional by your side. Also, the attorney could help arrange for any protection that may be needed. But even if your split is amicable, you will want an attorney if your spouse hires one – especially if you have any complicated financial issues in the marriage or if any children are involved. You definitely do not want to try and go head-to-head with a professional. If you are looking for a divorce lawyer in Gloucester Courthouse, VA, turn to Martin, Ingles & Hensley for the skilled representation you need. Contact us online or call (804) 693-2500 to learn more or schedule a confidential consultation. It is not pleasant to have to need a civil litigation attorney, but if you have to choose one it will be very important that you take your time and do the proper research before making your decision. Here are some tips to help make that decision easier. When deciding on a civil litigation attorney, you want one who not only has the experience and skill necessary to provide you with the best possible representation, but also makes you comfortable. 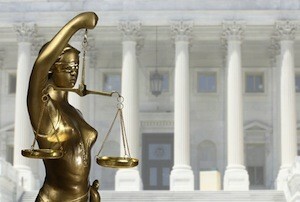 The lawyer you select will need to help solve your issue in the most cost-effective, efficient way possible. Talk to each attorney you are considering about how he or she will help you reach your goals. In order for your lawyer to help you reach those goals, of course, you need to set them first. You want the attorneys you are considering to be upfront and honest about the strength of your case, and to be frank about whether or not they can help you win. Always be leery of anyone who says you have a “slam dunk” case. The reason is that you can never be certain how a judge, jury or arbitrator will decide. You may encounter several attorneys who will say they have a great deal of experience in civil cases, but that will not help you a great deal if that experience is in cases other than the kind you are going through. Do not be shy in asking hard questions about how that attorney’s experience pertains to your particular legal matter. When you speak to a civil litigation attorney with Martin, Ingles & Hensley, you can rest assured that we will do whatever it takes to help provide you with the best chance of prevailing in your case. If you would like to learn more or schedule an appointment, contact us online or call (804) 693-2500. No matter what type of lawyer you hire, you want to take your time to make sure you make the right choice. If you are preparing to hire a wills & estates attorney, here are some important considerations to remember that will help make your decision easier. When you choose to start getting your financial, business and legal affairs in order, you will want to speak with at least two or three lawyers before making your final choice. The first meeting with your wills & estates attorney will be a great chance for you to get an idea of how you will be treated should you choose that lawyer. Pay close attention to not only the way the attorney communicates with you, but how others in the office treat you as well. Make sure there is someone to answer the phone so you can get the answers you need when you need them. You want a wills & estates attorney who will make sure that all of your legal documents are properly prepared. Wills and trusts, as well as other important documents, must be updated on a regular basis. A good attorney will not only do this, but will provide you with continuing guidance to help make sure all of your final wishes will be carried out exactly as you want. Your attorney must provide you with the tools needed to make sure your children will receive their inheritance just the way you planned. For example, he or she should help ensure that your assets are passed on properly, and cannot be lost due to a lawsuit filed against your child, a divorce or anything else. A good lawyer will know how to put the right strategies in place. If you would like to speak with a wills & estates attorney with Martin, Ingles & Hensley, contact us online or call (804) 693-2500. When someone is injured due to the action or inaction of another party, it is very important to hire a personal injury lawyer in Virginia as soon as possible. A seasoned, skilled attorney can fight for that person’s rights, significantly increasing his or her chances of obtaining the compensation needed to take care of medical bills and other accident-related expenses. These are just some of the benefits of hiring a good personal injury attorney. A personal injury lawyer in Virginia will carefully listen to all of the details of how a person was hurt, and then provide his or her honest opinion as to whether or not the injured party has a case. However, if an attorney tries to give the “hard sell” during the consultation, it would probably be advisable to look elsewhere for representation. Clients should speak with three or four attorneys before choosing one, and pay close attention to how they are treated during the initial consultation. That will very likely be a good indication of the type of representation that will be provided. For instance, if a lawyer seems sidetracked during the call, that could mean he or she will not be able to give a case the full attention it deserves. Hiring a personal injury lawyer in Virginia can relieve a great deal of stress. The lawyer will handle all of the details regarding the preparation and presentation of the victim’s case, and will also deal with the insurance company. This eliminates a great deal of hassle so the victim can focus solely on recovering from his or her injuries. One of the biggest reasons to hire a personal injury lawyer in Virginia is that an experienced lawyer knows how to successfully negotiate with an insurance company. The typical layperson simply does not have the knowledge or skill to take the action needed to secure a fair settlement offer. A personal injury attorney in Virginia will work to obtain a just settlement; however he or she will be ready to take the insurance company to court if a fair offer is not forthcoming. Speak with Martin, Ingles and Hensley today if you or someone close to you has been hurt and you need a personal injury lawyer in Virginia. Contact us online or call (804) 693-2500 to schedule a consultation.